“The owl and the pussycat went to seaIn a box on the living room floor. This retelling of the brilliantly well known Owl and the Pussycat poem could have gone pone of two ways. It could have been a dive and not been a patch on the original, or it could have taken the original and mastered it into something new and just as brilliant. Thankfully for me and Spike, it was the latter! 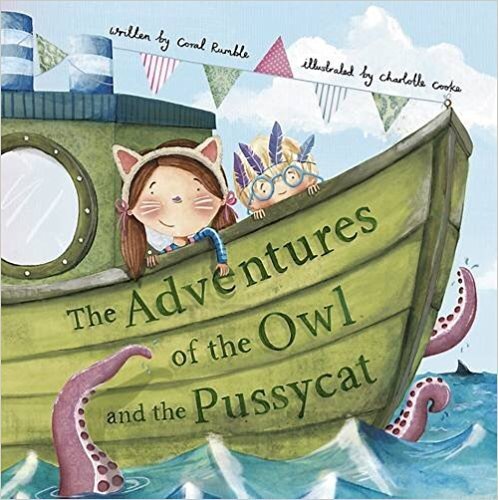 The retelling involves a sibling pair dressed as an owl and a pussycat, reflecting the imaginary world that so many kids the age of which the book is aimed at will know so well. They sail off in an imaginary boat for an imaginary length of time, meeting fascinating animals and objects along the way. All while never leaving their living room floor. The things they met were things that would be easily recognisable to any young child and Spike took great delight in shouting “OCPUSH” when she saw the octopus Owl met! The illustrations were incredible and I want them for prints on Spike’s nursery walls. 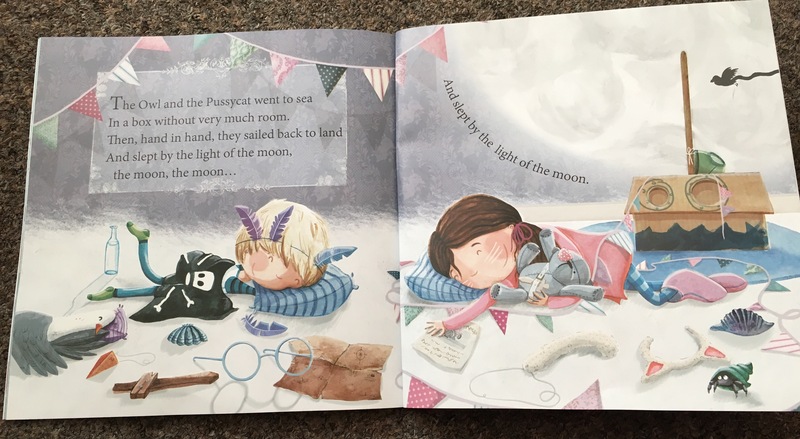 I loved the dress up of the siblings and the way their imagination comes to life through the illustrations. I think my favourite page is one of the last when the pair fall asleep and their world is brought back into the reality as it really shows how much fun you can have with just a few toys. The rhyming was fantastic and I loved the way it flowed just like I remember the original doing. I can imagine it’ll be a firm favourite in our house for a very long time. The Adventures of the Owl and the Pussycat was published by Wacky Bee Books on April 4th 2017. My copy was sent in exchange for an honest review.